As a grower, it takes a while to perfect your cannabis. But when you do, you can’t help but want hundreds more of the exact same yield. Well, you can with cloning! Cloning is the most effective way to ensure that your plants’ best attributes will live well into the future. The best part is, you don’t need to be a mad scientist to replicate your favorite strain! With help from the best cloning machines, you can have consistent cannabis yields. Most people are familiar with the tried and true method of growing cannabis, and that’s by the seed. After crossing a male plant with a female, seeds are a natural byproduct. Growers use these seeds to help breed hybrids & for future grows. When you grow from a seed, you have even odds of getting a male or female. Obviously, you want the females to smoke. 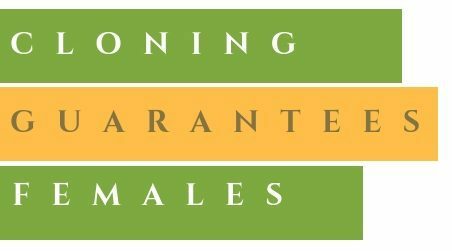 And we know that males can ruin your entire garden! If you clone a female plant, you will get female clones in return. No more sexing your plants! Find a healthy female plant that's around two months into the vegetative cycle. If you’re feeling impatient, hold your horses for at least three weeks in. Once you figure out the plant you want to use as your mother plant, don't use fertilizer for a few days before cutting her. You want as much nitrogen out of the plant as possible. When the plant is cut, this nutrient goes directly to the flower rather than the roots (which is what you want strong). In a sterile environment, use a razor to cut close to the stem at 45 a degree angle on the lower branches of the plant. Put the fresh cuttings into the water to stop air bubbles from forming which will kill the clone. Clip the leaves to encourage photosynthesis. Take the stems and dip them into a rooting hormone and then transplant in a growing medium that has nutrients full of nitrogen, potassium and phosphorous. What is a Cloning Machine? Growing a clone takes a lot of care because its roots have been exposed, making the plant susceptible to disease. Around-the-clock care is needed for clones. From checking pH levels to misting the plant, it can be a full-time job keeping a clone alive. Luckily, clone machines can help. These growing tools can aid you with timing, automatic misting and maintaining humidity levels for optimal growth. A good cloning machine will help you grow strong plants fast. In a lot of ways, using a cloning machine is almost like running a hydroponic system. However, this process is known as aeroponics. That’s because the roots are suspended in the air to be treated by nutrients. To use a cloning machine, you place the plants root-first through circular holes filled with soft, yet sturdy inserts. Here, the roots sit above water that is being circulated by a pump. This pressure causes a spray nozzle to mist a nutrient-based mixture onto the roots. 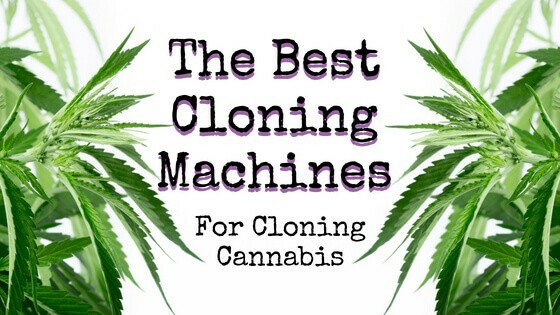 Now that you get how a cloning machine works let's review the five best cloning machines. If you’re looking to clone a lot of plants in as little space as possible, then Clone King has you covered. 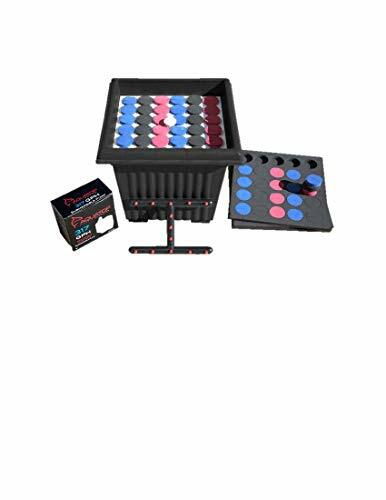 This massive kit can accommodate 36 cuttings and consists of 13 spray nozzles to ensure wide coverage of nutrients throughout the whole system. What stands out about the Clone King is that they claim you will not need root hormone. The Clone King 36 comes with a ViaAqua pump that creates an oxygenated mist. This mist alone provides the nutrients necessary for your cuttings to flourish into full-grown buds. Due to this feature, you end up saving money from buying nutrient sprays or organic materials to place in your reservoir such as clay pebbles. If you're using all 36 holes, you can expect the roots to be ready for transplant in around 10 to 14 days, with a 100% success rate. There are a couple of things to monitor, especially when you first starting using the Clone King 36. For one, you want to check the pH level of the water and make sure it lies between 6.0 and 6.5. Also, the water pump can, at times, make the water too hot for the cannabis roots to thrive. Therefore, you want to make sure that the water never exceeds 80 degrees F.
If you do find that temps have hit around that number, you might want to change your water every couple of days to ensure that no bacterial growth has formed. Lastly, be sure to keep an eye on your reservoir levels. You may have to replenish any water that has evaporated. For those who are just starting out and trying to get a feel for how this whole cloning process goes, you might want to start with something a bit smaller. 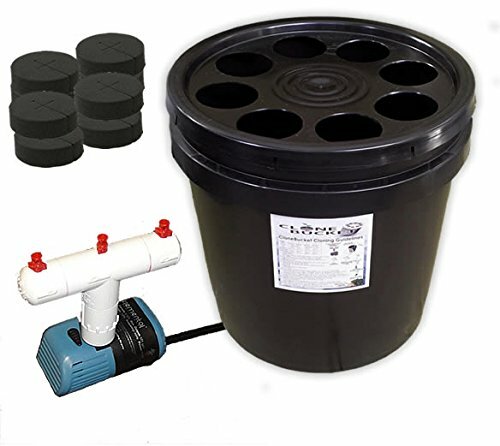 This 8 Site Aeroponic Plant Cloner is perfect for beginner cannabis growers because it requires very little maintenance. Seeing as clones are at such a risk for disease, you have to monitor them a lot. This is especially true in the beginning stages. Therefore, if you're inspecting 36 plants for wilting or possible contamination, you might miss out on something. As they say, it only takes one bad apple to ruin the bunch. Having more plants to care for will increase your odds of having a bad bunch. Starting off small lessens the burdens and gives beginners the chance to hone their craft without feeling overwhelmed. Unlike the Clone King 36, this product encourages root hormone. In fact, they include their own (and nutrients as well). Using root hormone has raised a bit of controversy within marijuana growing circles. When you cut a cannabis plant and plan on rooting it, the auxins are what matter the most. Some root hormones are made out of natural IBA, while others are from a synthetic auxin such as 1-naphthaleneacetic acid (NAA). When using these synthetic hormones, it does make the process inorganic. However, they are not known to have a harmful effect on the crops or users. 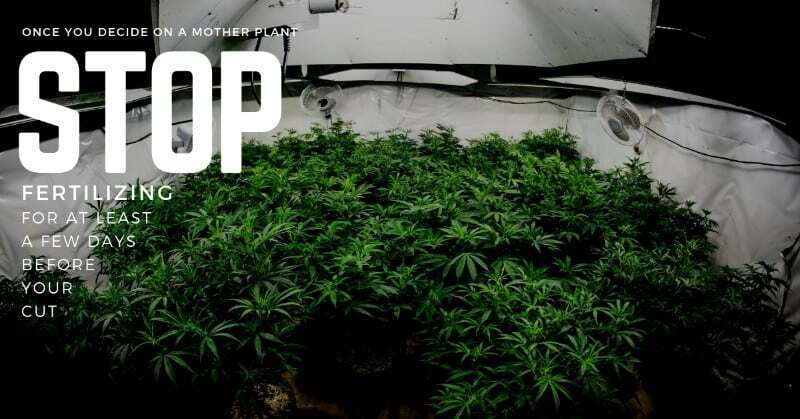 Having the hormones, nutrients, and fewer clones to worry about makes this a safe and easy-to-use starter kit for those who are new to cloning machines. Here’s a happy medium for the too big and too small cloning machines out there. 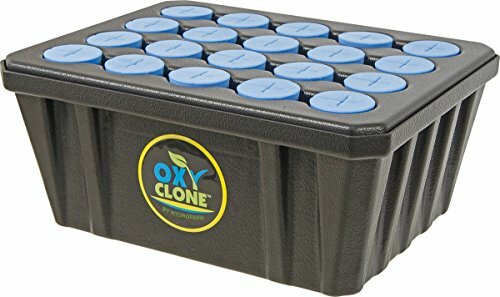 The oxyCLONE 20 Site is a compact way to clone a lot of plants at once. What stands out about the oxyCLONE is that they designed this recirculating system with precision in mind. As the name suggests, oxygen takes center stage in rejuvenating these roots, causing them to spring new life. With the length of the average root in mind, the oxyCLONE implements a 4-inch air diffuser to promote healthy root growth. Due to this technology, the oxyCLONE delivers dissolved oxygen to the root of your clones in a faster timeframe than any other run-of-the-mill cloning machine. Faster oxygen intake means that the roots will grow faster, speeding up the time between cutting and transplant. If you're growing impatient, you have the option to bring even more oxygen into the system. By attaching the Active Aqua Pump to an oxygen pump, you can introduce even more of this essential element into your growing environment. Additionally, the oxyCLONE was created with a cooling evaporation system. That means the hot water temps caused by hard-at-work water pumps will be a non-issue for oxyCLONE users. The oxyCLONE’s oxyCERTS are comprised of non-toxic foam. By the way, the slits are created, it allows room for growth of the plant. You don’t need to worry about the openings closing in on your plant, pinching off the nutrition and cutting off circulation. These inserts are soft, yet firm, and are created to resist the growth of different bacteria and fungi that may bring disease into your clone machine. The oxyCERTS are easy to clean and are acceptable to use on a repeated basis. For those growers where humidity is an issue, this is the ideal cloning machine for you. Keeping humidity low is important for cannabis growth as it is. So, when it comes to cloning, maintaining a proper humidity level is crucial for the survival of the cutting. When humidity levels climax, the mother plant will go into mama bear mode and protect itself. It does this by closing its stomata. These are the tiny holes underneath the leaves that absorb carbon dioxide and releases both water and oxygen into the air. If the stomata close up, it won't be able to take in any of the nutrients your cloning machine is attempting to provide the plant. When you're first growing, you want to keep your humidity level around 70%, reducing five times a week as it continues to elongate. Follow this regimen until you reach around 40%. 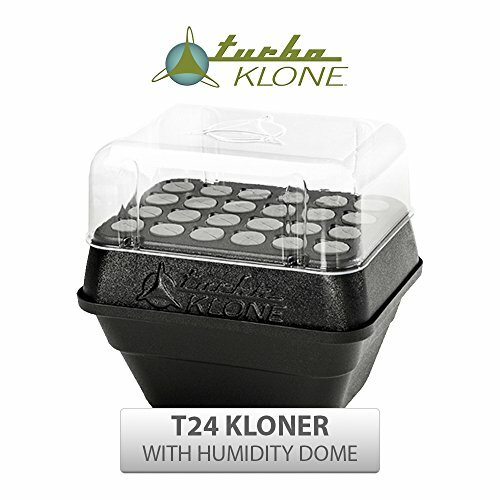 What makes the TurboKlone such a great aeroponic cloning system is that it comes with a humidity dome that helps regulate the levels of optimal growth. This is a nice perk because anytime you transplant a mother plant, it goes into an initial state of shock. You're taking a thriving, living organism out of its prosperous environment and putting it into a completely different scenario. That stress makes cloning such a particular process. The TurboKlone helps alleviate this issue. TurboKlone has a fan system in their cloning machine that works in two ways. For one, the fan provides continuous oxygen to the roots. Also, the fan ensures that cool air circulates through an otherwise closed off environment that would be prone to rising temperatures. This cloning machine is a bit bigger than the others on this list because it comes in the form of a 3.5-gallon bucket. For such a big area (and to handle as many as 21 cannabis cuttings), you will need adequate spraying to maintain healthy roots for these plants. 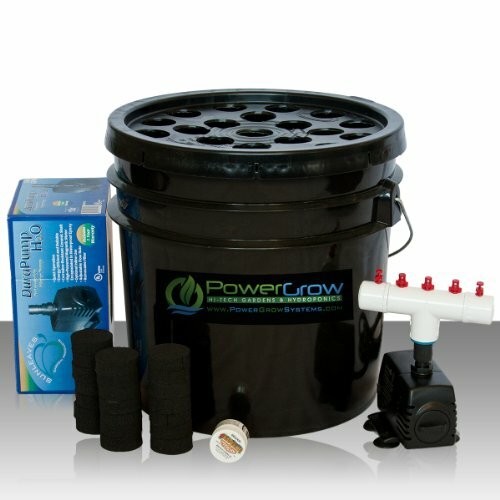 So, at first glance, you may be wary of the PowerGrow Systems Deluxe 21 because it only comes with five spray nozzles. However, what makes these spray nozzles unique is that they are designed to shoot off at a 360-degree angle. This ensures that 100% of the 21 plants will be covered, making this a efficient cloning machine. The PowerGrow Systems Deluxe 21 comes with a complimentary pack of Rootech Cloning Gel. Cloning gel is a handy tool when transplanting a mother plant. When you trim the cuttings, it’s much like getting a scrape on your skin. You now have an open wound on your body that is susceptible to hoards of bacteria, fungi, and molds. That’s why you put a band-aid on it until it gets better. While an infection is not likely to happen to you because you have a strong immune system, a little plant needs a little more help. Using a cloning gel helps seal off the open wound of the newly trimmed mother plant. Like a band-aid, doing this will keep the bad bacteria out. Rootech cloning gel is also formulated with a number of vitamins, nutrients, and hormones that promote cell proliferation. Using Rootech cloning gel on your fresh-trimmed cannabis cuttings is much like when you put Neosporin on your cut before covering the wound with a band-aid. Another nice touch is that the water pump comes with suction feet to hold it in place. That pump tends to be a bit on the noisy side. If you're serious about cloning, you need to get one of the best cloning machines. Cloning can frustrate a lot of new growers. But it doesn't have to! 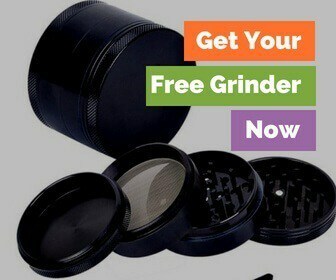 And, thanks to these machines you have one less thing to worry about as you are mastering growing cannabis. 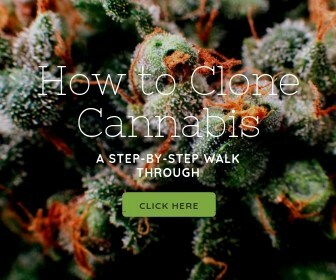 Have you used a cloning machine before or will this be your first time? Tell us about your experience in the comments. We're dying to know!